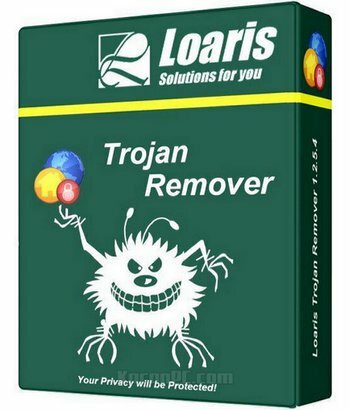 Loaris Trojan Remover is an anti-malware tool, designed to protect your PC against Trojans and other types of malware that is difficult to remove. It can detect Trojans, Adware, Worms, Spybots and Spyware and remove it efficiently. Trojan is a type of malware that is often disguised as legitimate software, that is why most of the Anti-Virus tools won’t evem detect them while scanning. Trojans can be employed by cyber-thieves and hackers trying to gain access to users’ systems. The installer size is ~40MB and the installation process takes only a little time to complete without any difficulties. On the first run, it automatically initiates a scan to detect malware on your PC. The scan takes only a few minuted depending on your system, and displays all the detected items in a list and users can choose if the want to delete or quarantine the detected malware. After that it asks you to restart the PC, so that the removal of Trojans is successful, after the restart it launches automatically and initiates another scan to make sure that the detected malware was deleted after the first scan. The UI has a modern look and is based on a tabular design. All the features and options are well- arranged inside the 7 tabs on the left-side, namely ‘Scan’, ‘Update’, ‘Log Files’, ‘Quarantine’, ‘Tools’, ‘Settings’, and ‘Help’. The ‘Scan’ tab offers 4 types of scans standard scan that scans important areas on your PC, full scan that scans all the data on your hard drives, custom scan that scans the files or folders chosen by user, and removable scan for removable drives. ‘Update’ tab is to update the virus signature database, Log files contains the logs of all the scans you run, ‘Quarantine’ tab shows the list of all the files quarantined by this tool. The ‘Tools’ tab contains some useful tools , and ‘Settings’ tab let’s you tweak around with different settings and options to suite your needs. Lastly, ‘Help’ tab contains information on your License, it’s validity and also lets you contact support. ‘Tools’ tab contains a few tools to reset different settings on your PC. You can easily reset browser preferences, as some malware softwares change your browser settings so that you’re redirected to a certain page. This can fix the common redirection that a lot of PC users face in their default browsers. Moreover, you can reset Windows HOSTS files and Windows Update policies if they get corrupted by malware. The last tool is to generate a log file containing data from all services, startup processes etc. so you can easily get technical help from the support team. The scans speeds are really good for this tool, I tried running all the scans and they all took a few minuted to complete. Moreover, even while scanning the System Resource usage was not something to be worried about. Many detection’s are false-positives most probably because their Virus database is not as big as other anti-malware and anti-virus tools. So you have to be careful in deciding what to remove and what not too. Other freeware malware tools just work as fine as this tool does, but they are free and this one is not. Moreover, the trial version offered just scans and nothing else. This price wouldn’t look much if the tool worked and performed well, and had a more mature virus signature database. The download link for Loaris Trojan Remover is given to you Below. The download is a SharewareOnSale exclusive installer with registration built-in. Download and install Loaris Trojan Remover. After install, run Loaris Trojan Remover. The first time you run Loaris Trojan Remover, you will need to enter your name and email address and click GET FREE KEY. Once you do that, your license key will automatically be entered into Loaris Trojan Remover; just click START NOW. Enjoy! 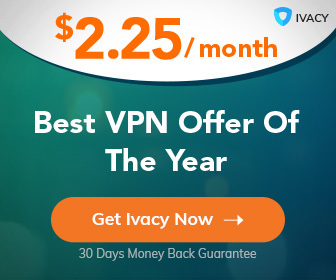 (You need an active internet connection to register.